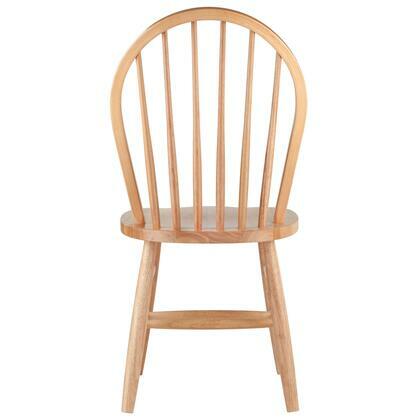 This classic style Windsor Chair is built from solid wood providing great quality along with it timeless design. The round legs and smooth contoured seat gives it an exquisite traditional look which is also comfortable to sit on. 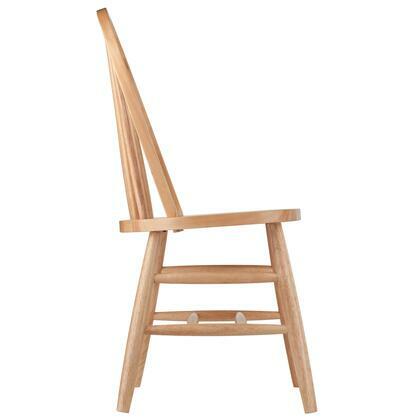 The chair is 17.25"W x 16.5"D x 37"H with a seat height of 17.9" and dimensions of 18.5"W x 15.4"D. The seat back is 19.2"W x 18.1"H and the chair has a weight capacity of 220 lbs. Comes fully assembled. 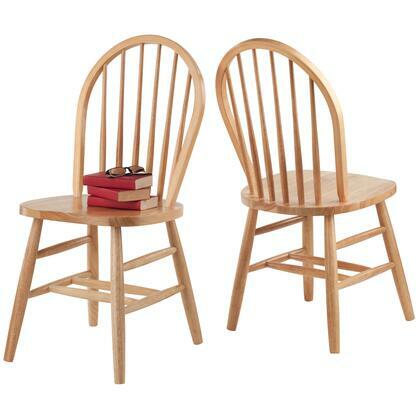 Overall chair size is 17.5"W x 16.5"D x 37"H. Seat dimension is 18.5"W x 15.4"D.
Fully assembled made from solid wood. 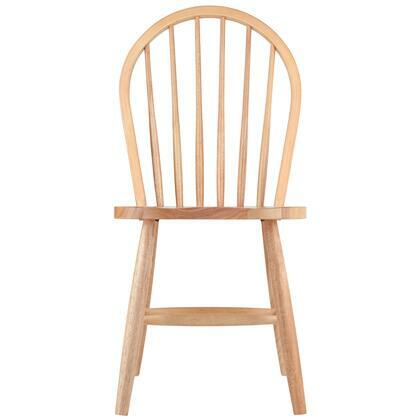 Seat in natural finish. These chairs are perfect. Saw something very similar in a furniture store, but for twice the cost. 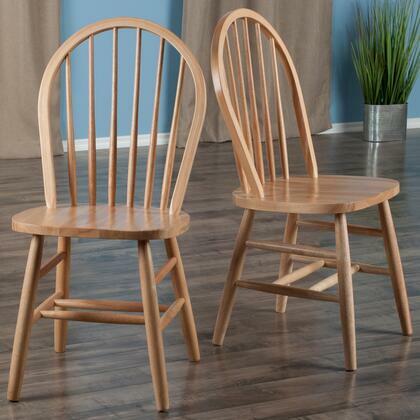 Loved the design, searched online, and found these chairs. Great price, and great chairs. Beautiful and good quality!!!! 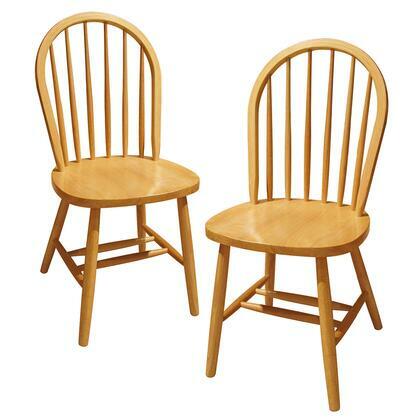 Everyone loves these chairs. I cannot believe the quality for the cost of them. Stylish, simple and useful. I needed something inexpensive but NICE. Worked great. 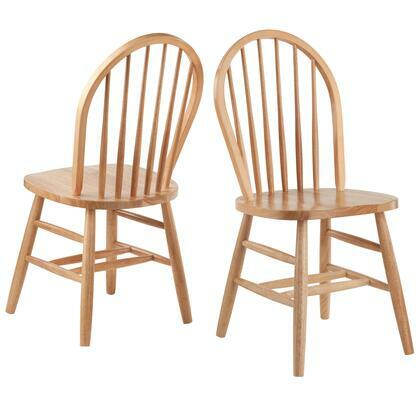 Slightly larger seat adds to the quality and sturdiness of these Windsor chair from Winsome. Very comfortable as well. Excellent quality for this price point. Bought these for my kitchen table and they are fantastic. 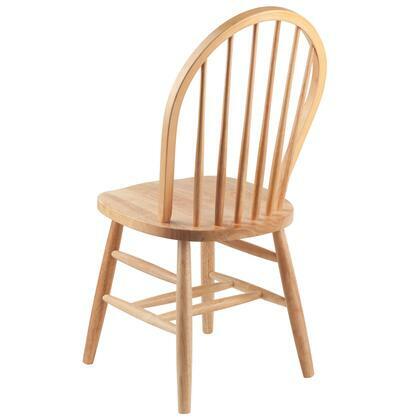 I originally had purchased a set of four of these chairs from Winsome. I am tempted to just go for a set of 8 just to have when the time comes to get a large dining table. They we easy to assemble, and fit into the room perfectly. Winsome chairs are perfect for our side porch dining area. Strong and durable with a classic style of Windsor Collection. I want to add two more to my eat in kitchen area. Great value for the price. Honestly, I chose these chairs because they were cheap. I was pleasantly surprised by their clean look and sturdy construction. When I built and furnished my new home I wanted to make sure there was always an "extra chair". They are a good buy for the price. These chairs are awesome. Even though they are light colored they are easily cleaned. My 2-year-old is constantly getting hand prints with food on them. I literally take the kitchen sponge and it comes right off. Very happy especially for the price I paid. Just received my chairs from Winsome today. They look nice, are comfortable, wipe down easy with little kids, look nice with my table. I was nervous until I opened the box and saw how sturdy, solid, and well made these are. We have a large family and we like to entertain so I needed something durable that would go the long haul. They are super heavy and sturdy, I couldn't be happier.